\r\n	Drug design is an inventive process of medication discovered by biological target. It is also known as rational drug design or rational design. The drug is most commonly an organic small molecule that activates or inhibits the function of a biomolecule such as a protein, which in turn results in a therapeutic benefit to the patient. In the most basic sense. Drug design relies on the knowledge of the three-dimensional structure of bimolecular targets. The drug is an organic molecule, when it is predicament to target site it can either inhibit or activate the function of a biomolecule which effects in therapeutic benefit. \r\n	The term drug targets regularly used in medicinal research to describe the native protein in the body whose activity is modified by a drug resulting in a distinct effect, which may be a desirable therapeutic effect or an unwanted side effect. In this context, the biological target is often referred to as a biological target. The most common drug targets are G-protein couple receptor, enzymes, ligand gated channels, voltage gated channels, ion channels, nuclear hormone receptor and membrane transport proteins. \r\n	Pharmacovigilance is that branch of pharmacology that focuses on analysis, detection and prevention of adverse effects caused by pharmaceutics. Adverse drug reactions (ADRs) are a major cause of patient related morbidity and mortality. Reporting of ADRs is considered to be an important step in maintaining and achieving a safe drug therapy use. Nowadays, Pharmacovigilance hugely emphasizes on challenges like Mass treatment regimens, Un-labelled and Off-labelled indications, Nutritional aspects, New drugs, Adherence, Co-morbidities and Drug resistances. Medication errors such as misuse, overdose, abuse of a drug and drug exposure are some of the reasons responsible for ADRs. The main objective is to generate independent, evidence-based recommendations on the safety of medicines and to monitor benefit-risk profile of different pharmaceutics. \r\n	Proteomics, the large-scale analysis of proteins, contributes expressively to our understanding of gene function in the post-genomic era. Proteomics can be divided into three main areas: (1) protein micro-characterization for large-scale certification of proteins and their post-translational changes; (2) 'differential display' proteomics for comparison of protein levels with potential application in a extensive range of diseases; and (3) studies of protein–protein interactions using methods such as mass spectrometry or the yeast two-hybrid system. Proteomics technologies are under nonstop progresses and new skills are introduced. Nowadays high quantity acquisition of proteome data is possible. \r\n	Drug design is the method of inventing innovative medications. Drug design defines the design of molecules that are corresponding in shape and charge to the bio molecular target with which they interact and therefore will bind to it. Generally, the drug is a tiny organic molecule which triggers or slows down the activity of a bio-molecule such as a protein which repeatedly results in a medicinal benefit to the patient. Discovery of drugs is challenging. Various medications are invented by chance observations, the scientific examination of other medicines or by finding out the side effects of some other drugs. A methodical technique is significant screening observations where important drug targets are tested with thousands of various compounds to observe, whether conversations occur. Basically, drug design involves design of small molecules that are harmonizing in shape and charge to the bio molecular target to which they act together and consequently will bind to it. \r\n	Clinical Biotherapeutic aspects including study drug design, drug-drug interactions, QT assessment, immunogenicity, comparability, special populations (hepatic and liver failure), PK and PD, regulatory expectations of PK and PD characterization, as well as reviewing factors which influence the ADME of Biotherapeutics. The objectives of early clinical development of therapeutic proteins are the same as for small molecules i.e. to investigate the molecule in a manner that will gain necessary knowledge about its tolerability safety pharmacokinetics (PK) and if possible pharmacodynamics (PD) effects in the most appropriate human populations while simultaneously protecting their safety. 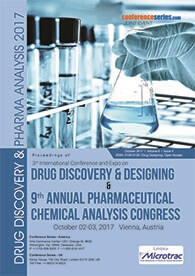 However, there are specific features of proteins that must be considered when designing clinical pharmacology studies. \r\n In revelation process incorporates the early periods of research, which are intended to recognize a drug and perform essential tests in the lab. This initially phase of the procedure takes around three to six years. Before the end, scientists plan to distinguish a promising medication competitor to additionally think about in the lab and in creature models, and afterward in individuals. These advances offer extraordinary guarantee, yet additionally add unpredictability to the Research and development process. With a specific end goal to guarantee the wellbeing and viability of customized treatments that are utilized close by diagnostics, clinical trial conventions must be adjusted and upgraded. This may require the utilization of extra systems and assets, and in addition new or creative types of information accumulation. In addition, by their extremely nature, the patient populace distinguished to react to focused treatments is smaller, which makes tolerant enrolment more troublesome. The modern drug discovery process is an overview to the development of new drugs. 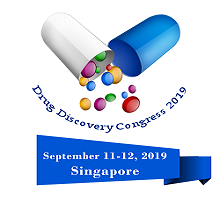 Now a days new biological targets, methodologies and advanced computing have enhanced modern drug discovery and have given medicinal chemistry a more thoughtful skill set and toolkit to hold the nuances of disease pathophysiology. The medicinal chemistry related methodologies and a methodology in drug discovery improves the efficiency in drug discovery and lessening attrition. In drug designing, structure-based drug design, and fragment –based drug design, natural product-based drug design, diversity-based drug design, and chemo genomics are applied. \r\n Nanotechnology, a multidisciplinary logical endeavor, includes creation and use of materials, gadgets or frameworks on the nanometer scale. The field of nanotechnology is as of now experiencing hazardous improvement on many fronts. The innovation is required to make developments and assume a basic part in different biomedical applications, in drug delivery, as well as in atomic imaging, biomarkers and biosensors. Target-specific drug therapy and strategies for early finding of pathologies are the need look into territories where nanotechnology would assume a crucial part. Diverse nanotechnology-based drug delivery and imaging approaches and their monetary effect assume fundamental part in pharmaceutical and biomedical enterprises. \r\n Drug metabolism is the procedure by which the body separates and changes over prescription into dynamic concoction substances. It is the enzymatic transformation of one concoction compound into another. Drugs can be utilized by oxidation, reduction, hydrolysis, hydration, conjugation, condensation, or isomerization; whatever the procedure, the objective is to make the drug less demanding to discharge. The proteins engaged with metabolism are available in many tissues however for the most part are more moved in the liver. Drug metabolism rates shift among patients. A few patients use a drug so quickly that therapeutically compelling blood and tissue focuses are not come to; in others, metabolism might be slow to the point that standard dosages have dangerous impacts. Singular drug metabolism rates are affected by hereditary factors, existing together disorders (especially unending liver disorders and propelled heart disappointment), and drug connections (particularly those including acceptance or restraint of metabolism). By and large, metabolic procedures will change over the drug into a more water-dissolvable compound by expanding its extremity. \r\n Chemoinformatic plays a vital link between made-up design and in drug design through mining of information from the data and translate into knowledge. Derivation of information and knowledge is only one aspect of chemoinformatic. The use of consequent knowledge in a design and selection support role is an important part of the drug design cycle. The main processes within drug discovery are lead documentation, where a lead is something that has activity in the low micro molar range, and lead optimization, which is the process of transforming a lead into a drug candidate. Chemo informatics methods can be used proactively to designing and filter the most appropriate compounds to work within the real world.